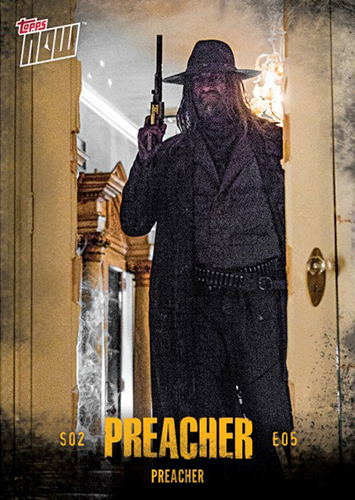 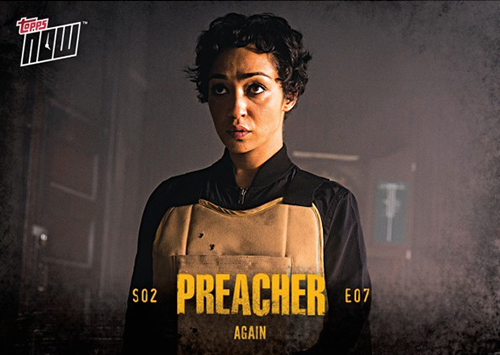 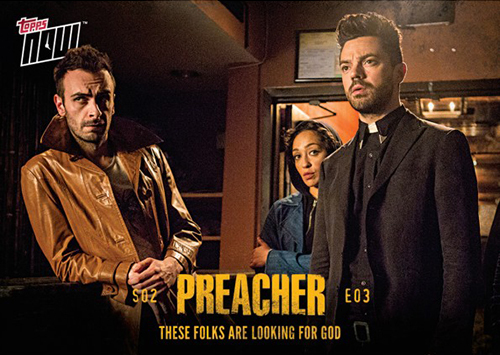 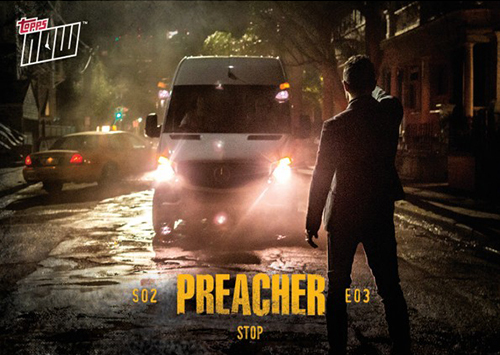 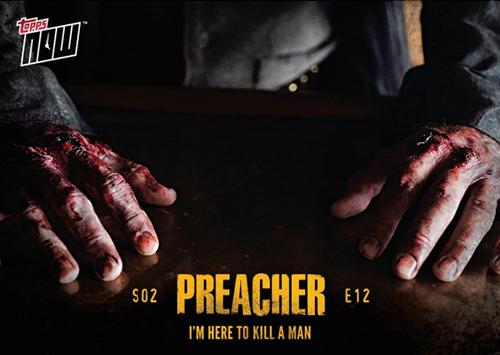 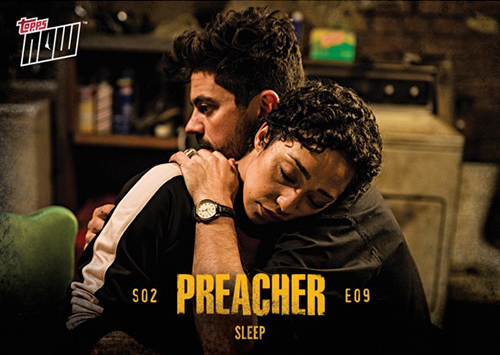 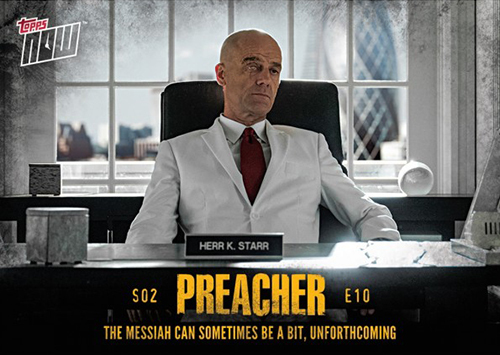 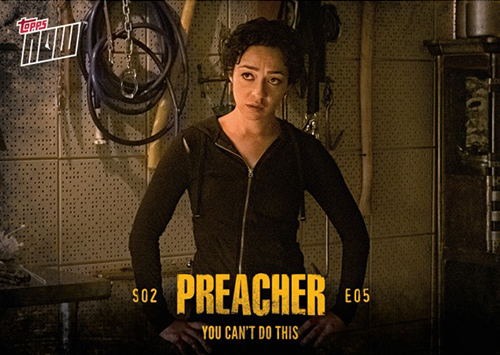 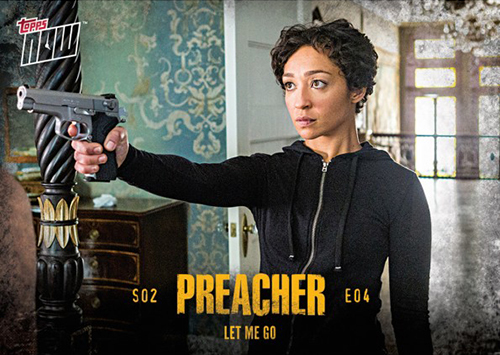 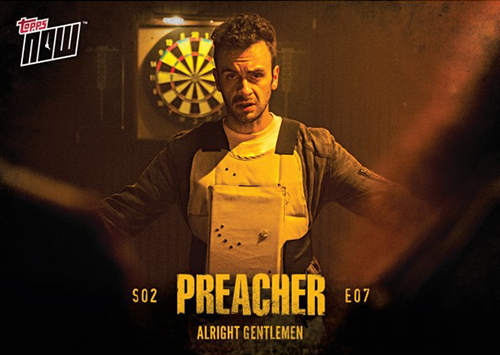 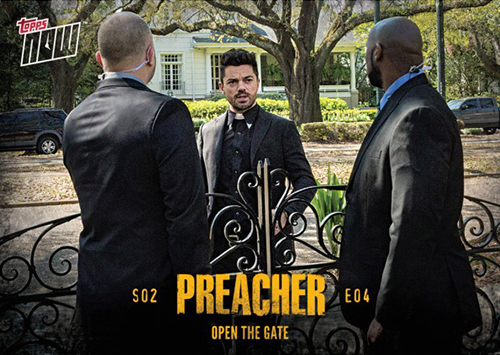 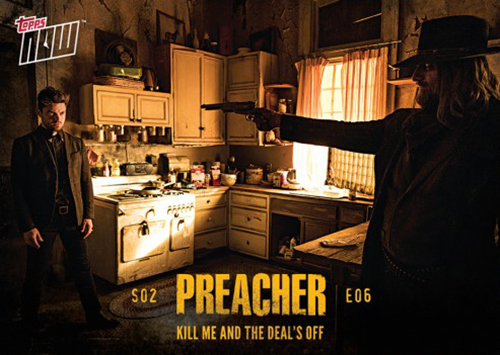 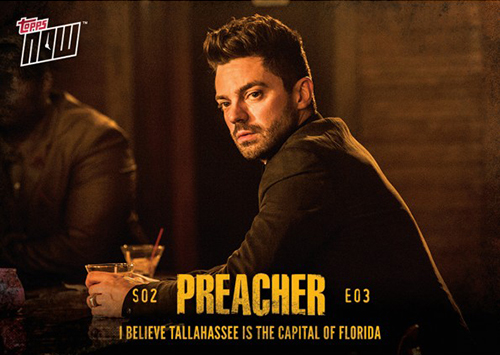 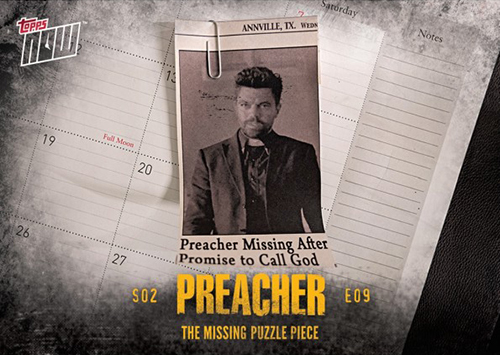 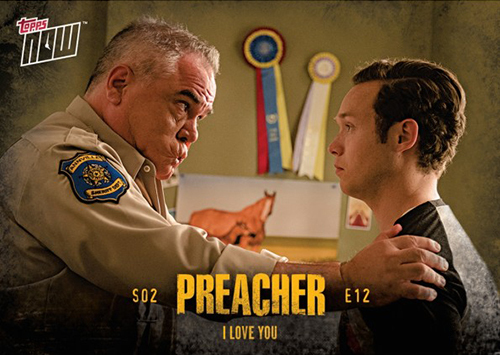 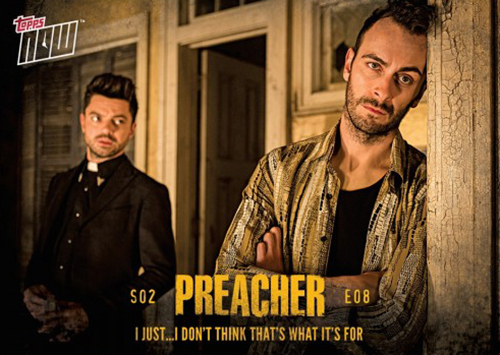 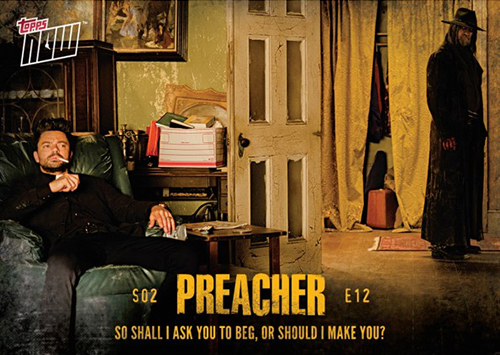 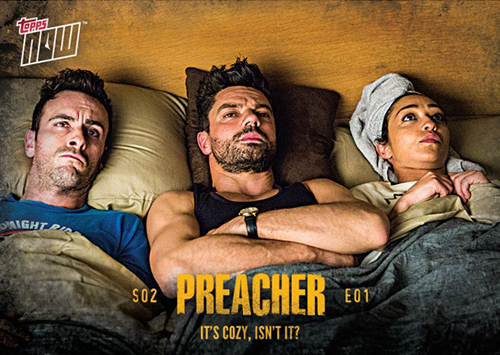 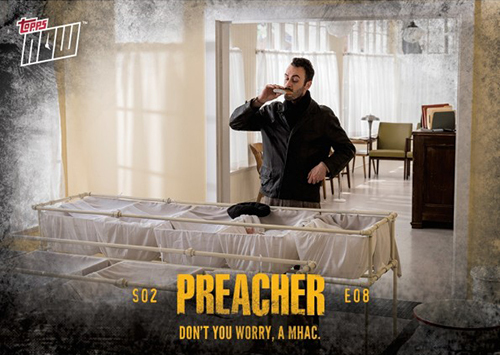 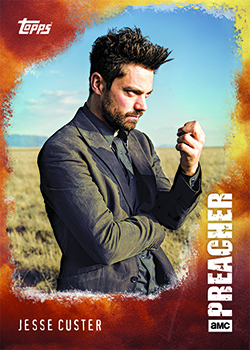 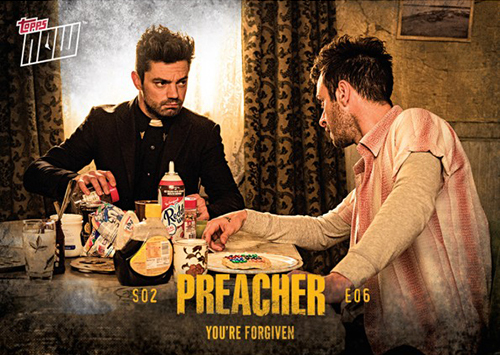 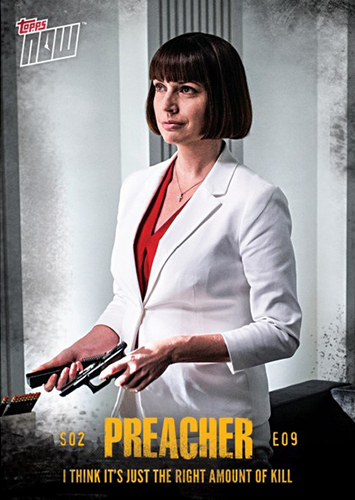 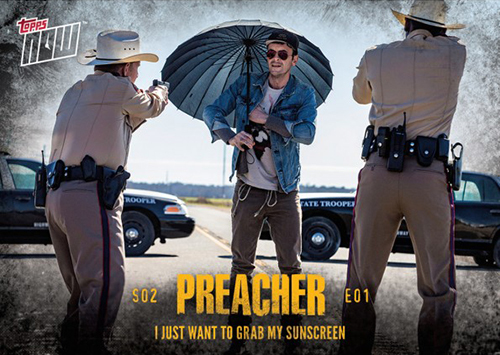 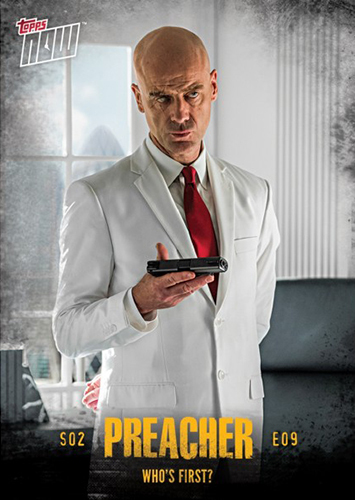 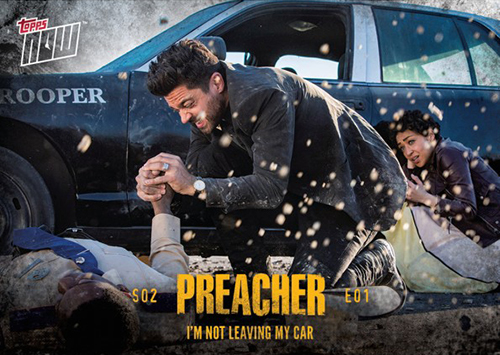 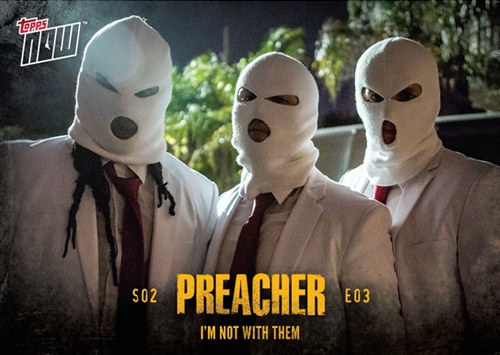 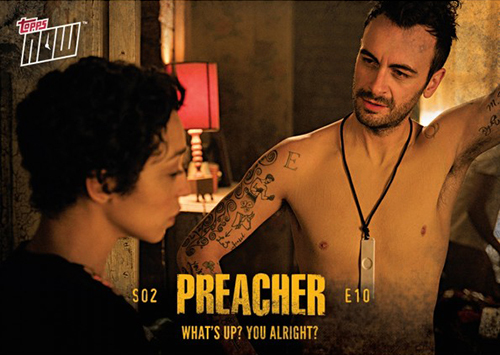 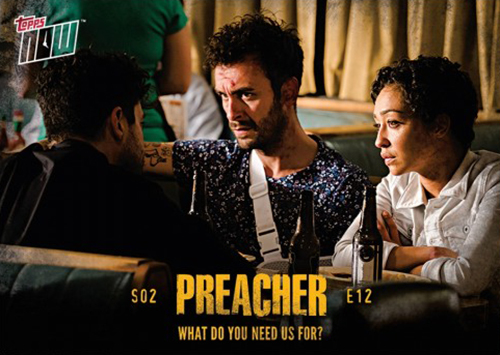 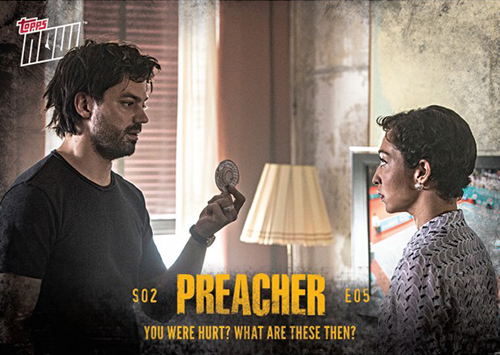 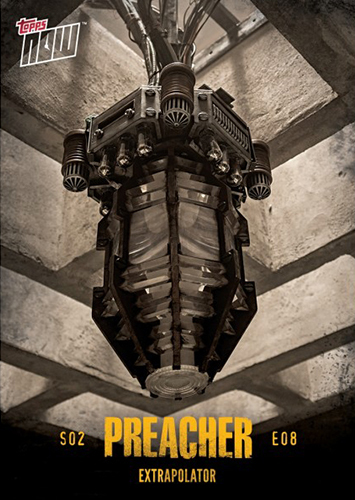 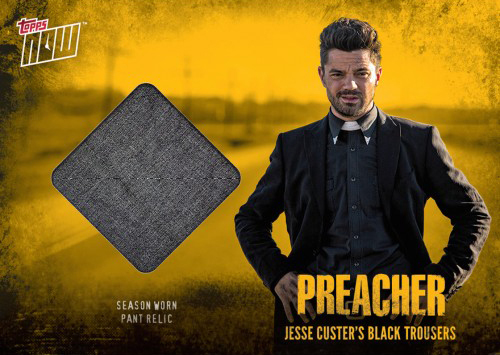 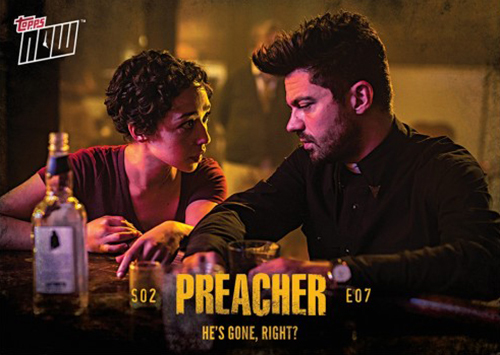 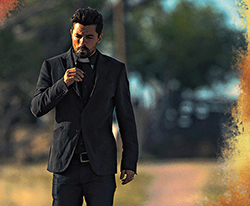 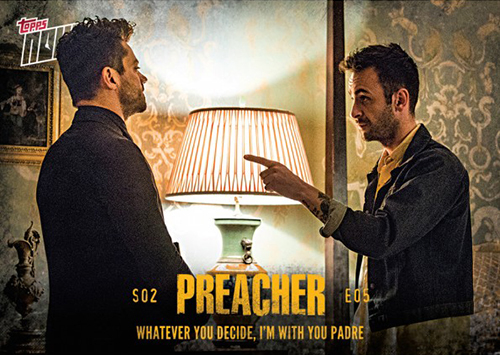 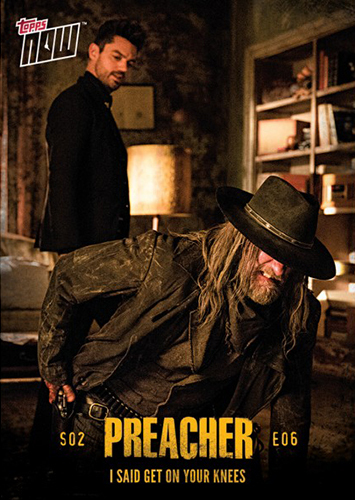 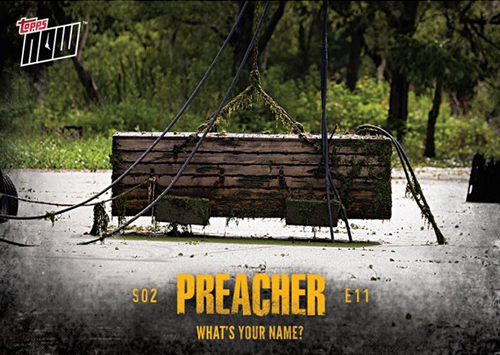 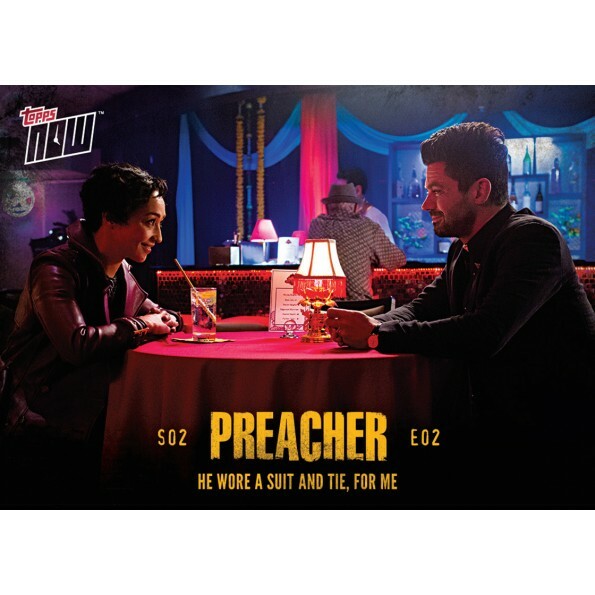 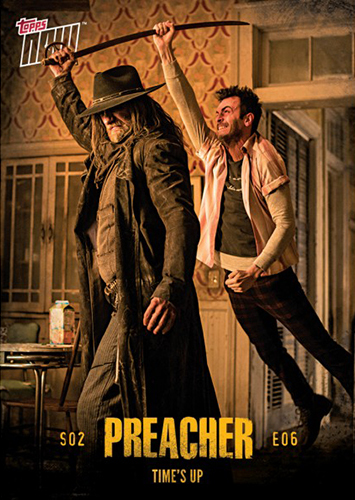 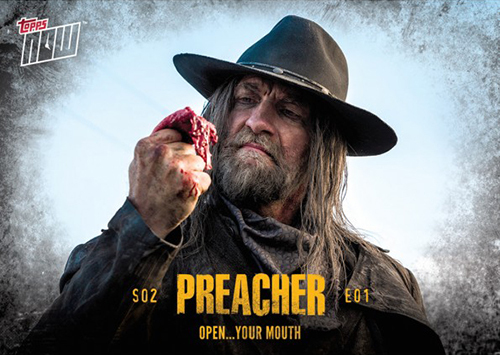 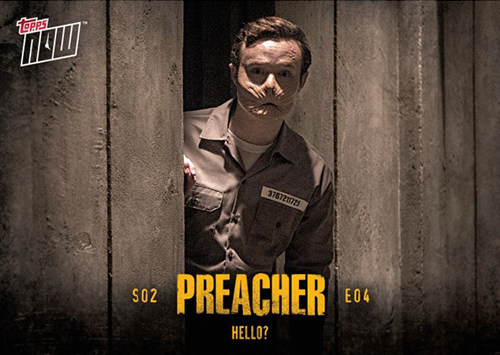 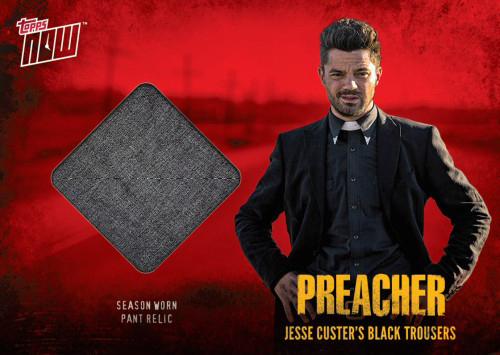 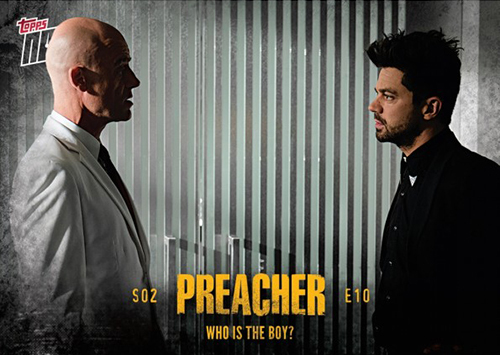 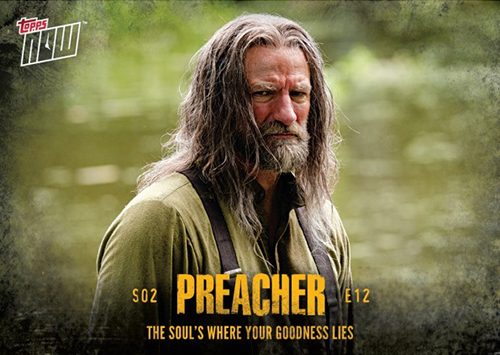 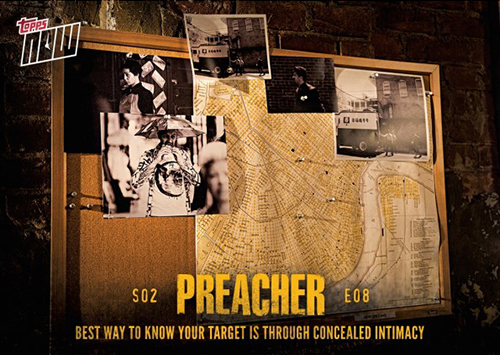 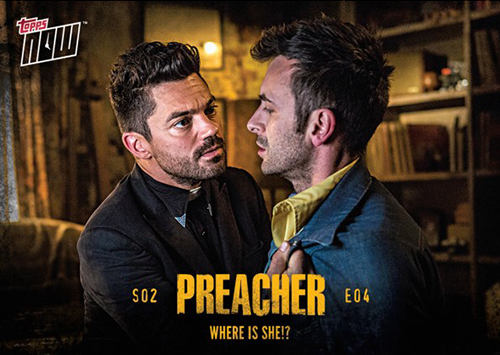 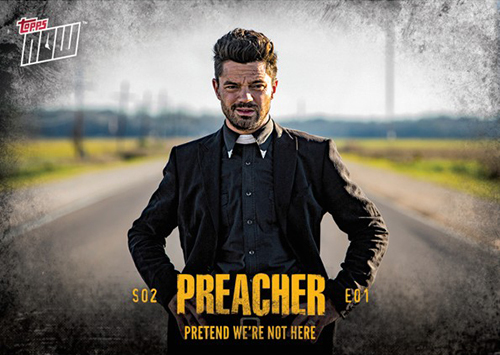 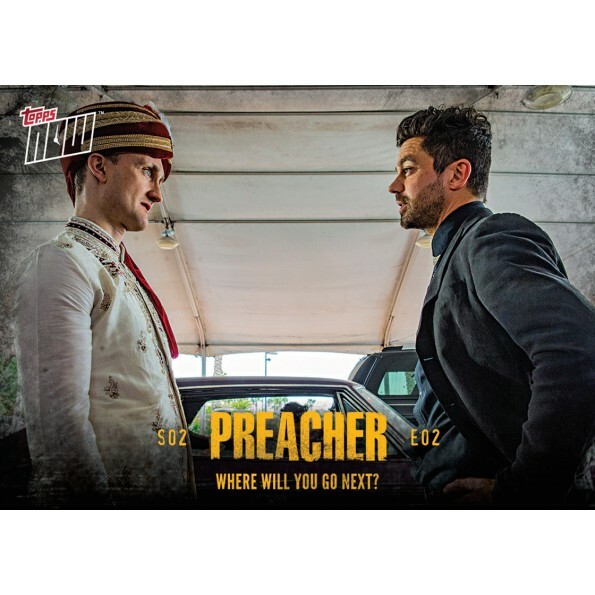 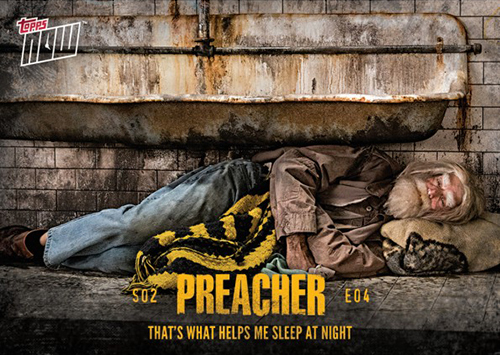 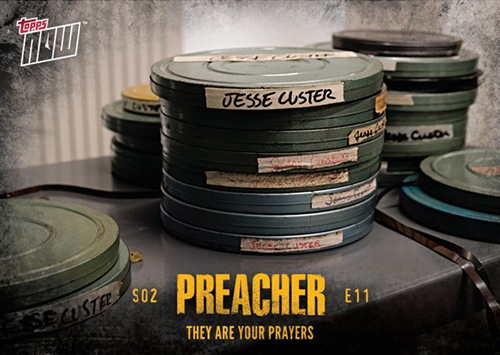 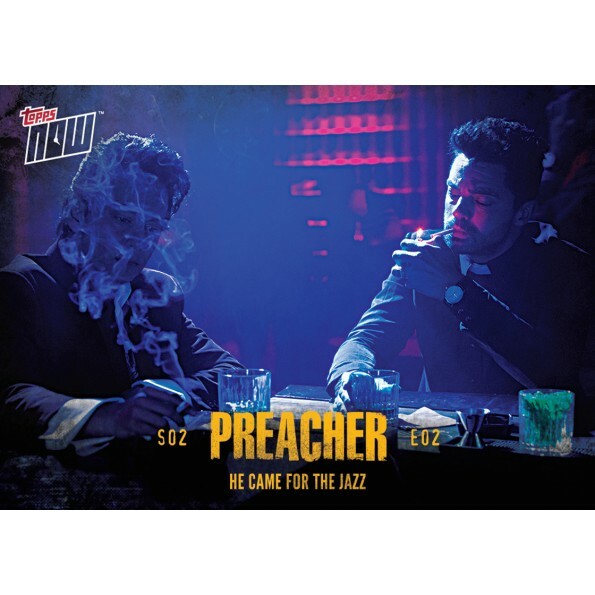 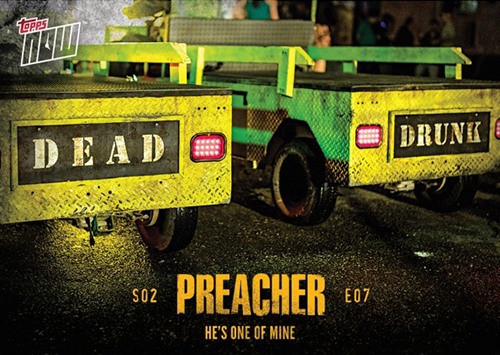 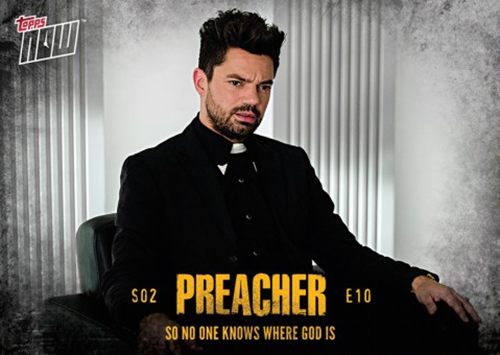 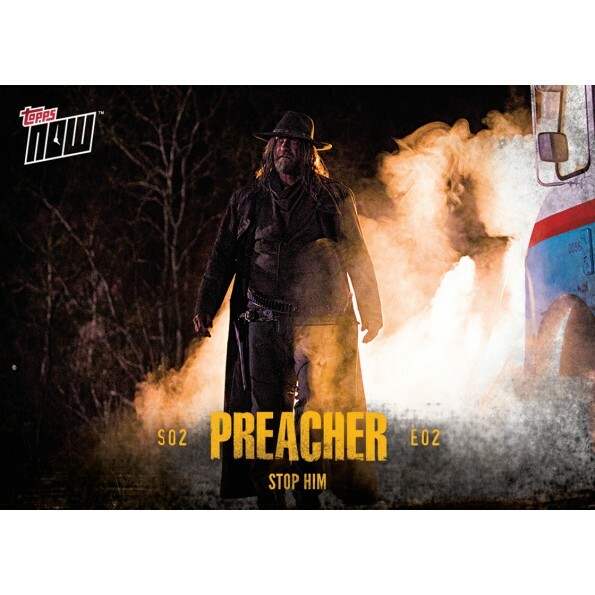 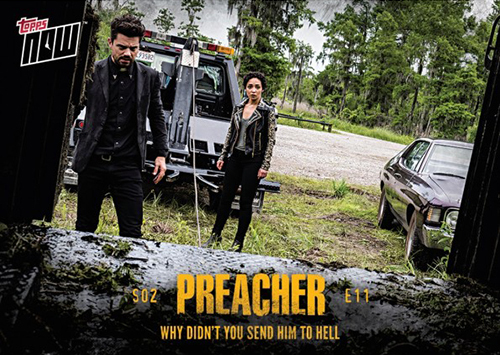 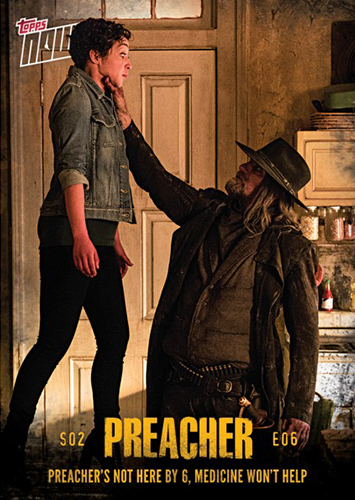 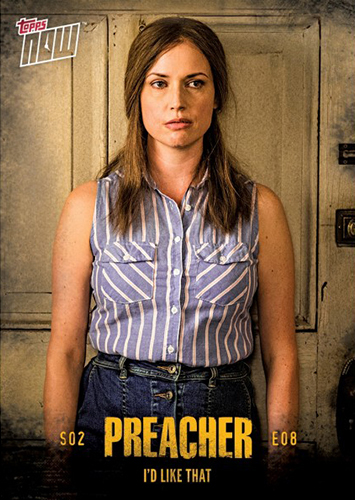 2016 Topps Now Preacher Season 2 trading cards are sticking with the same general concept as Season 1 — delivering small batches of new limited editioncards each week after every episode. 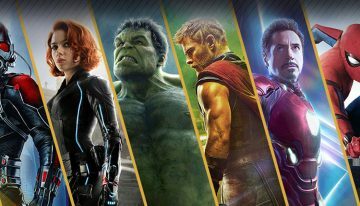 But there’s a new wrinkle this time around — costume cards. 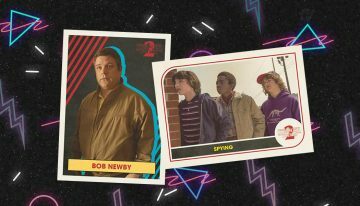 Like the first release, each episode has five cards summarizing big moments and key characters. 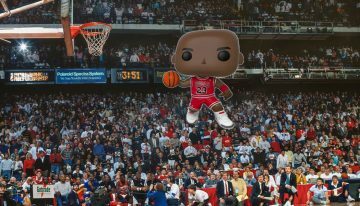 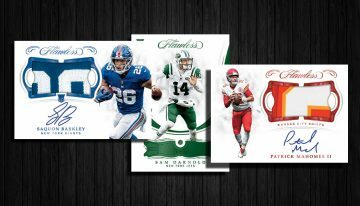 Rather than selling them individually like many of the Topps Now sports releases, these are sold in episode-by-episode lots. 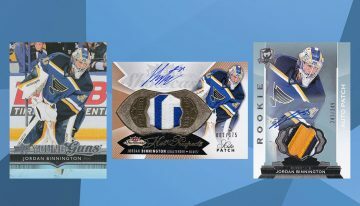 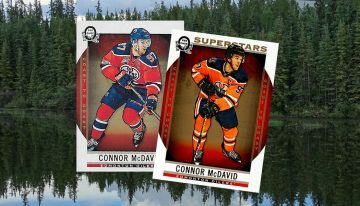 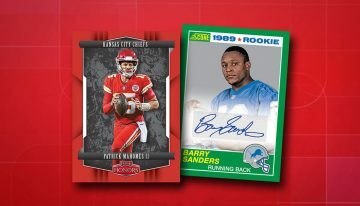 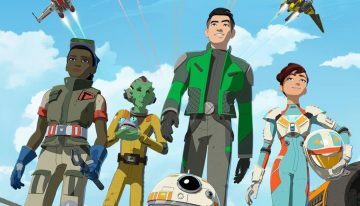 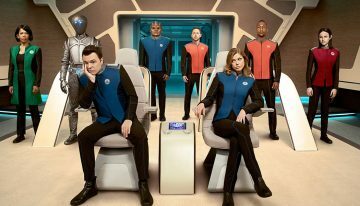 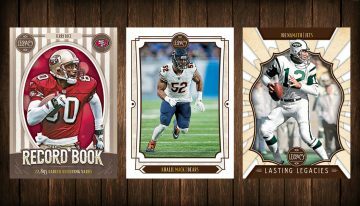 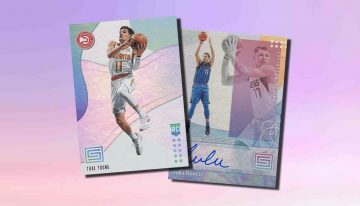 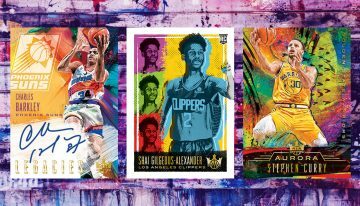 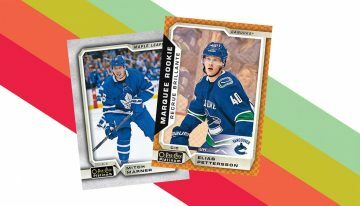 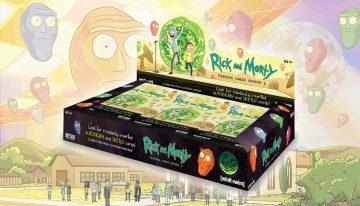 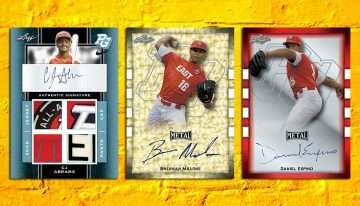 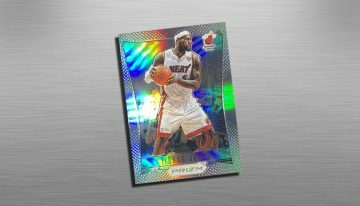 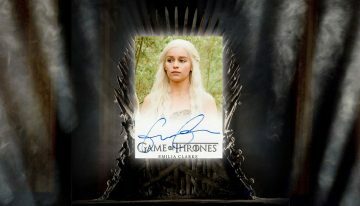 New cards will be released exclusively through the Topps website the day after each episode airs. 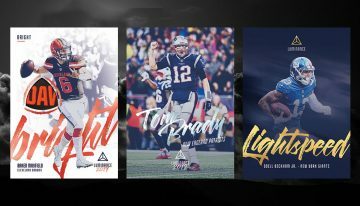 These are available for a short period of time. 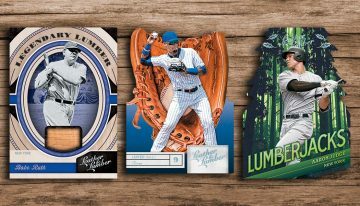 Print runs are limited to the number of packs purchased during that initial sales run. 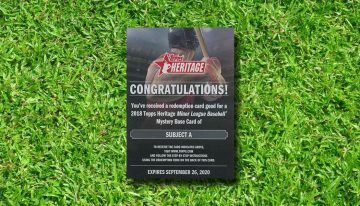 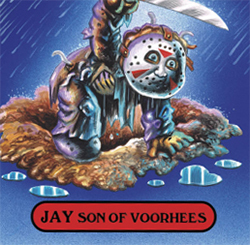 Season 1 print runs ranged between a high of 362 cards down to a low of 149. 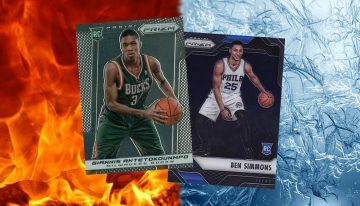 Season 2 cards appear to be much more limited. 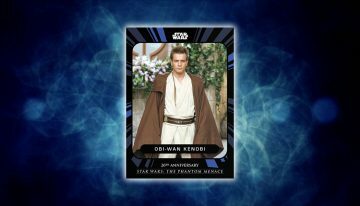 Costume cards will also be released over the course of the season. 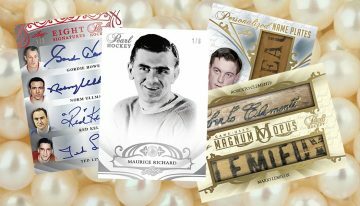 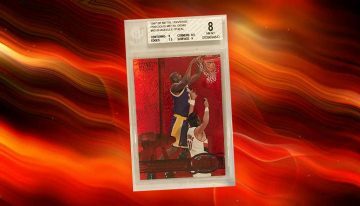 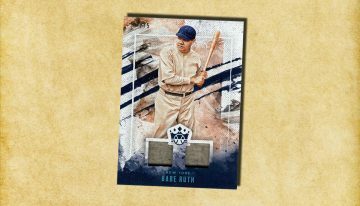 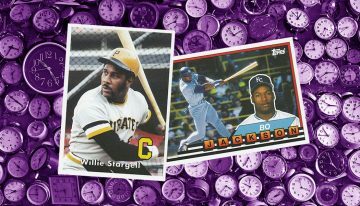 Similar game-used jersey cards, these have swatches of pieces worn on the show. 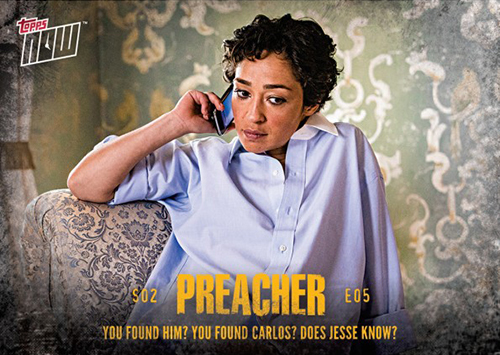 Jesse, Tulip and Cassidy are among those with wardrobe cards. 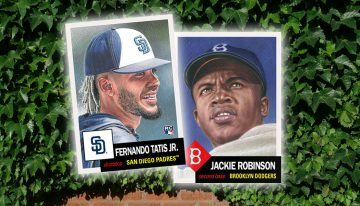 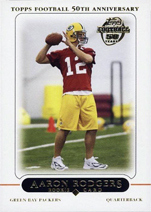 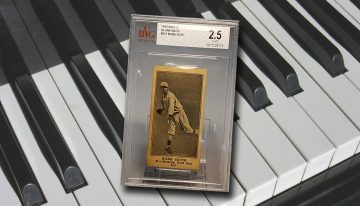 Topps has a gallery of some uncut costumes used for these cards posted on their website. 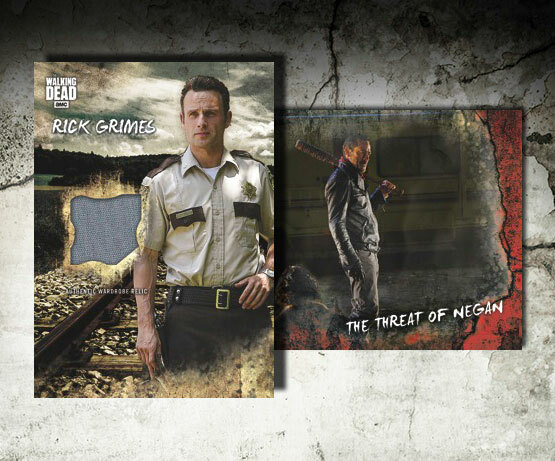 Costume cards will be available separately and not as part of the episode packs. 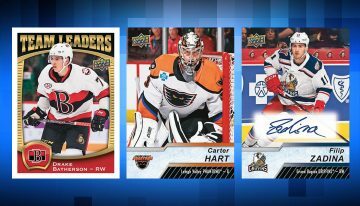 Like Season 1, weekly packs of five cards are $19.99. 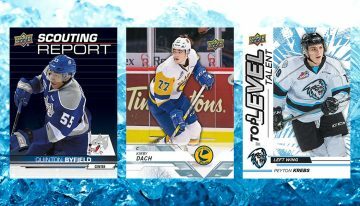 Three of the same pack are $49.99. 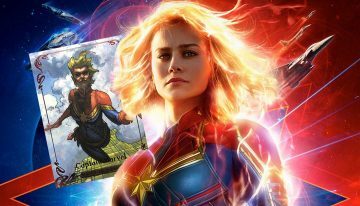 46 What’s Up? 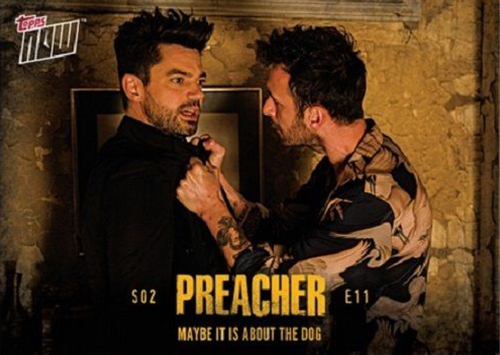 You Alright? 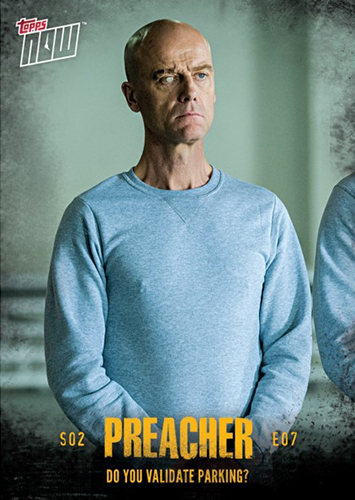 52 Why Didn’t You Send Him to Hell? 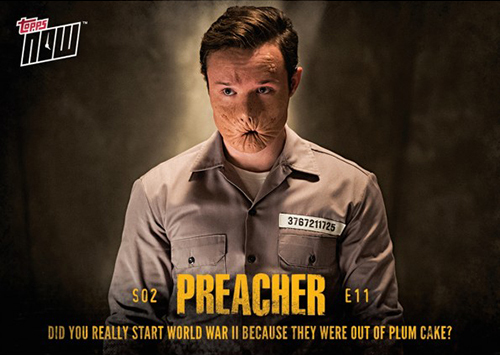 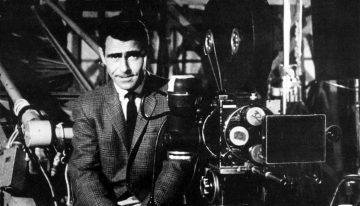 54 Did You Really Start World War II Because They Were Out of Plum Cake? 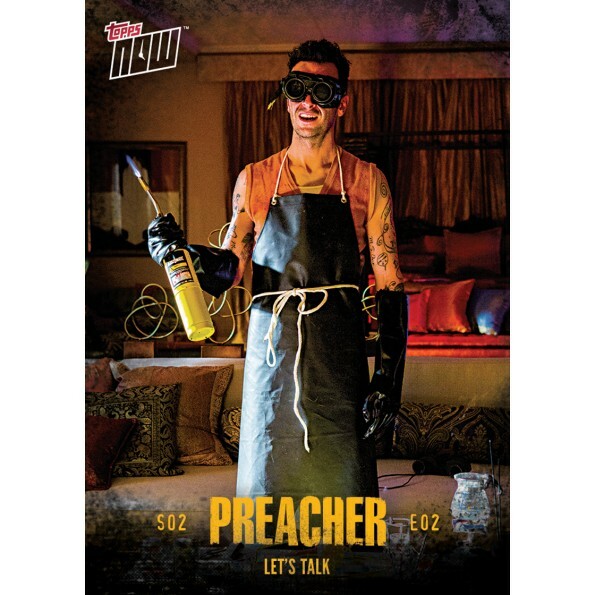 60 What Do You Need Us For?